Artists from the School of Artistic Gesture in Almaty who are interested in a long-distance transcultural collaboration with students from the Zurich University of the Arts from September – December 2018. The collaboration is part of an e-learning seminar within the winter-term 2018 curriculum of the Zurich University of the Arts. The seminar is structured in 6 meetings, (25.09. / 09.10. / 23.10. / 13.11. / 27.11. / 11.12. – every second Tuesday, 19:00 - 21:30 Almaty local time). Each meeting deals with one or several sub-topics. A reader with relevant texts will be provided during the seminar. 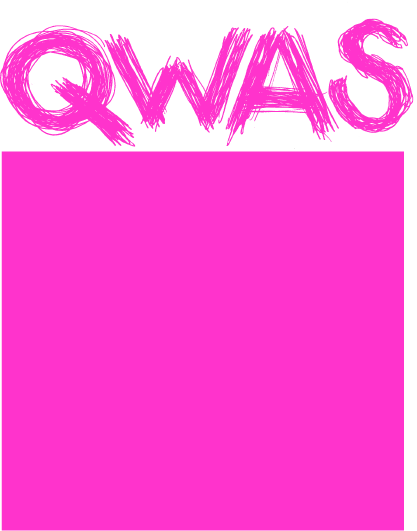 The end of the seminar is marked by an exhibition, which shows the results of the collaborations along with works of the past QWAS exchange project 2018. The exhibition will be in the second half of December 2018 (14.12.-21.12.) and will take place in Zurich and in Almaty simultaneously. Dialogue is a problematic term, by any means. It’s superficial and more of an abstract container for different meanings. In most cases, it’s used to mark a rather optimistic expectation for the outcome of an encounter, while being a deeply risky and uncertain undertaking. Therefore, we would like to explore the term in vivo, in medias res of situations of collaboration: its empirical uncertainties, overwhelming complexities, irritating expectations of attempts to get along with each other. In this collaboration, artists from Zurich and Almaty will be paired and will engage in a shared artistic practice. The challenge is to create an artwork together without meeting in person. The means for the creation of this artwork and the artistic collaboration are not restricted and up to the collaborators themselves. These can be telephone conversations, skype-calls, instant-messenger correspondence (WhatsApp-like chats), shared (written or visual) diaries or blogs, but also instructions for performative action (non-verbal), printing, sound-recordings or just having breakfast together while being in different places (times? ), and many, many more. In order to open up the opaque and abstract term “dialogue” and to think about relevant dimensions of the long-distance collaborations, the seminar will deal with a selection of sub-topics, such as contemporaneity (in the arts), borders, digitality, in/dividuality, distance, original/copy, histories and fictions. Please send us a short motivation letter with some basic information about yourself, why you would be interested in participating in such a collaboration and a few examples of your work (web-link to portfolio, pictures, videos). Group applications of up to 2 people are also possible and will be matched with one person.